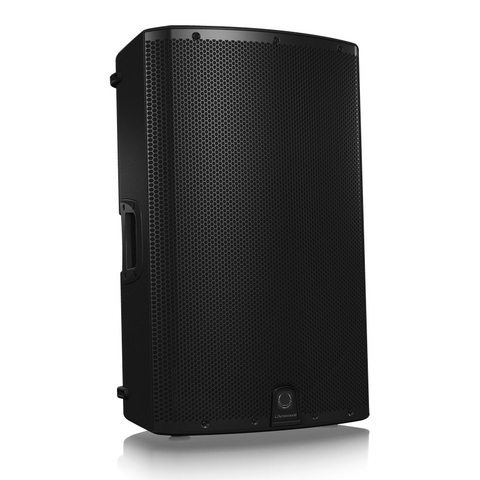 The 1000-Watt iX15 is a powered two-way 15" loudspeaker with Bluetooth* audio streaming ideally suited for a wide range of portable and fixed music and speech sound reinforcement applications. A state-of-the-art KLARK TEKNIK DSP controls the built-in 3-channel digital mixer via a single-knob user interface, as well as providing comprehensive wireless remote control via dedicated app for iPhone/iPad. The iX15’s powerful 15" low frequency driver and 1" titanium dome compression driver ensure highest-quality low end, extended high frequency reproduction and articulate midrange reproduction. TURBOSOUND is proud to incorporate custom-engineered KLARK TEKNIK DSP into their products. 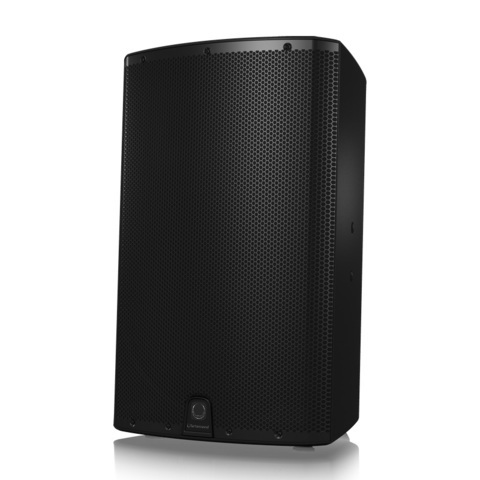 From the instant your signal enters the iX15, the built-in DSP (Digital Signal Processor) takes over, ensuring the highest possible signal integrity. Much more than just selective EQ enhancement, the iX15’s 24-bit DSP analyses the incoming signal and intelligently applies specific filters to actually improve the sound quality. It is very much like having an audio engineer monitoring the input and output signals of each iX15, dialing in the perfect EQ and constantly making subtle adjustments to the crossover, compressor/limiter and more – which all adds up to significantly better sound. The days of tape decks, CD and even mp3 players are long gone. Now your music lives on your smartphone or computer tablet, so you can stop searching for those outdated cables and fancy adapters. An industry first, the iX15 puts all your music at your fingertips via stereo Bluetooth. Now with a simple wave of your hand, you can stream music from any Bluetooth-equipped iOS device, such as your iPad, iPhone – or even your laptop computer. We take Bluetooth a step further, giving you total control of the iX15 directly from you iPhone or iPad. 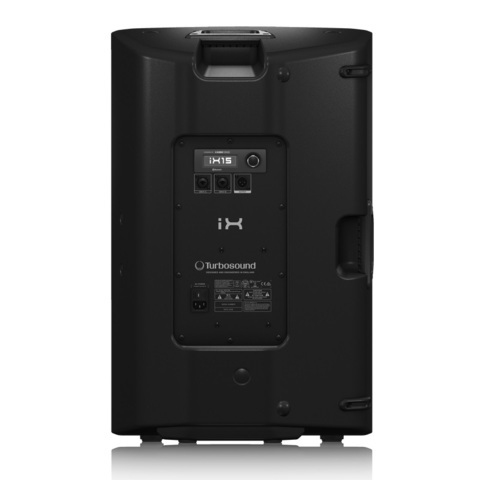 This amazing feature lets you adjust all settings from either the listening area or the stage, for the perfect sound every time. 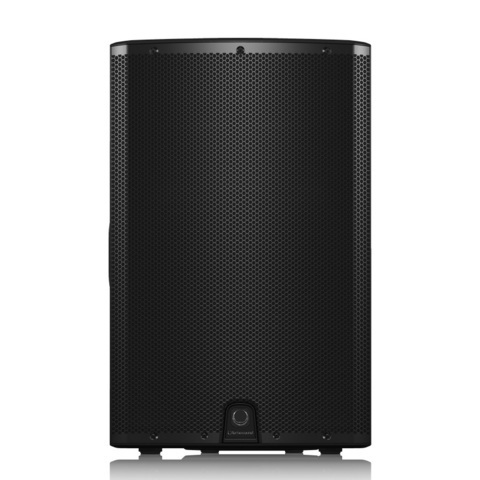 The iX15 Bluetooth app even allows the user to define one iX15 as the master, and the other as the slave – so the music stream is presented in true stereo.The dedicated apps are available free of charge at turbosound.com, or from the Apple App Store.